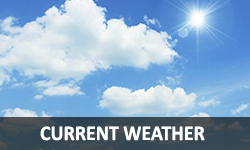 Home > Daily News > Puerto Portals, It’s “Press Play & Repeat”. 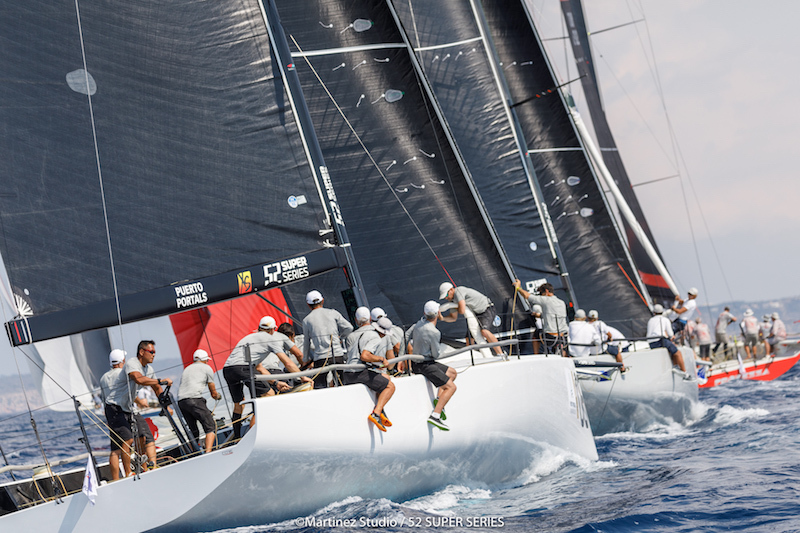 (Friday 24th August, Puerto Portals) – The 2017 regatta on the Bay of Palma enjoyed the closest of finishes, this 2018 edition is shaping up for a repeat performance. 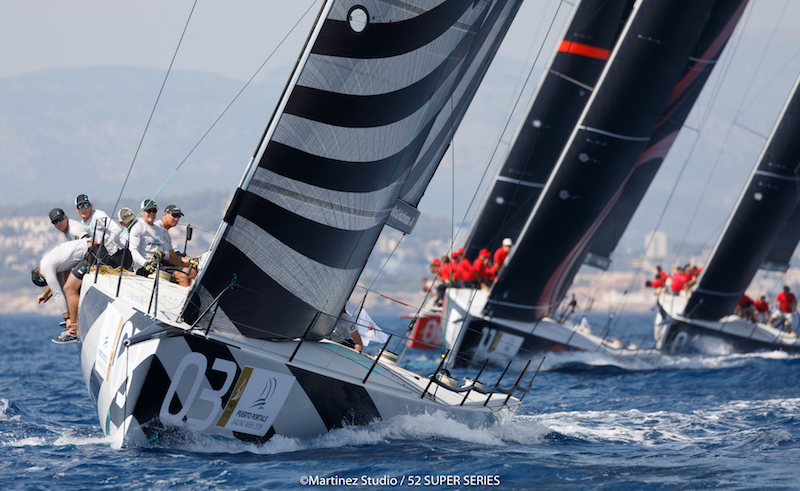 Though they had their worst day of the regatta so far, returning a sixth and an eighth, Quantum Racing go into the final day of the Puerto Portals 52 SUPER SERIES Sailing Week with a lead of four points ahead of long-time adversaries, Azzurra. Breathing down the necks of the Roemmers’ family team, Azzurra, are a posse of three crews: Luna Rossa, Platoon and Phoenix, which are all just one point behind. 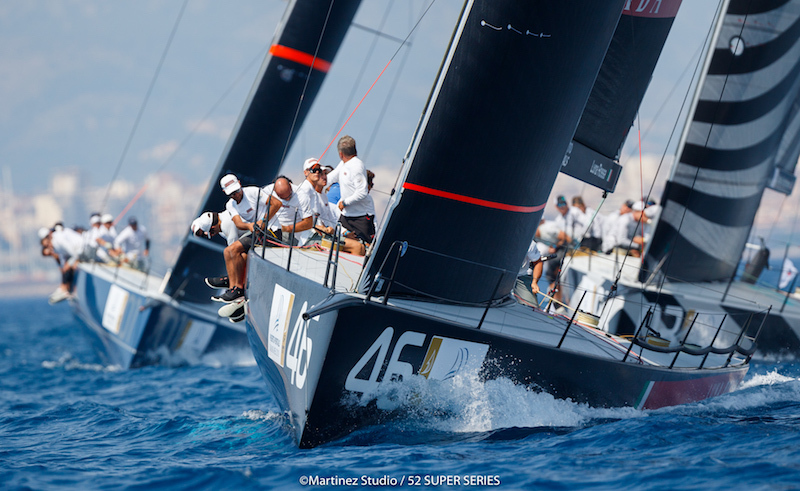 This regatta was close last year, two points separating the top three boats, and it is shaping up to deliver an equally close finish on Saturday on the Bay of Palma. After a deeply frustrating couple of days, during which they seemed to attract umpires’ red flags like moths to a flame, Harm Müller-Spreer’s Platoon shrugged off their troubles and posted a really solid pair of third places, the best aggregate of the day, just when they needed it. They were even over the start line early in the first race but recovered very quickly to round the first top mark in third. So too, the Italian America’s Cup team Luna Rossa were slightly more consistent than their Thursday rollercoaster 9,1 when they became the first team to win back-to-back races in these hard-to-read sea breezes. 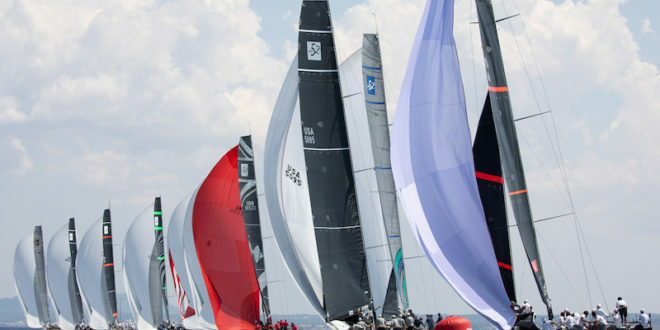 Luna Rossa’s 1,6 today still reflects lost opportunities, according to tactician Vasco Vascotto, but the winners of this season’s Zadar Royal Cup have at least now given themselves a fighting chance of their second regatta title of the season. And just as things didn’t go Quantum Racing’s way today, neither did they for Tina Plattner’s Phoenix. At the very point they could have been closing their deficit on Quantum Racing, they came trailing in last in the first race of the day before a better mid-fleet fifth in the second race. 1. Quantum Racing (USA) (Doug DeVos) (2,4,2,5,2,6,8) 29 p.
2. Azzurra (ARG/ITA) (Alberto/Pablo Roemmers) (6,5,1,6,4,9,2) 33 p.
4. Platoon (GER) (Harm Müller-Spreer) (1,10,8,2,7,3,3) 34 p.
5. Phoenix (RSA) (Hasso/Tina Plattner) (5,3,4,4,3,10,5) 34 p.
6. Alegre (USA/GBR) (Andy Soriano) (3,6,3,8,8,2,9) 39 p.
7. Sled (USA) (Takashi Okura) (8,9,5,1,10,8,1) 42 p.
8. Provezza (TUR) (Ergin Imre) (4,1,7,10,6,7,10) 45 p.
9. Onda (BRA) (Eduardo de Souza Ramos) (9,8,DNF11,3,9,4,4) 48 p.
10. 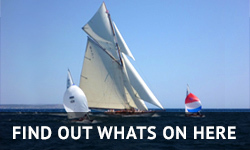 Gladiator (GBR) (Tony Langley) (10,7,9,7,5,5,7) 50 p.
With another good start off the pin end of the start line Luna Rossa won Race 6, to become the first team to score back-to-back victories at this Puerto Portals 52 SUPER SERIES Sailing Week. Their second victory takes the Italian America’s Cup team to second step on the podium after Phoenix placed tenth and Azzurra took a penalty, finishing ninth and dropping from third to sixth in the regatta standings. Luna Rossa worked the left and rounded first from Alegre and Platoon, which staged a great recovery. 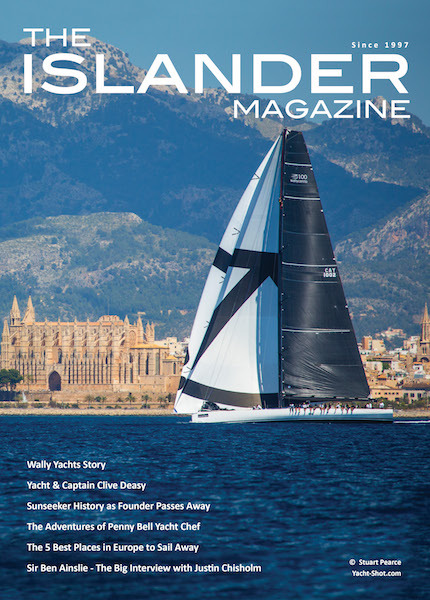 Sled won the second race of the day at the Puerto Portals 52 SUPER SERIES Sailing Week while regatta and circuit leaders Quantum Racing completed a disappointing day scoring a sixth then eighth. But over a day that saw more ups and downs for the majority of the teams, Doug DeVos’s crew still leads the regatta by four points just as they did this morning. Sled, Azzurra and Onda all started from the committee boat end of the line but Sled had enough speed to work the middle left before crossing to the right. Their key move was finding a nice lift on the right to bring them up towards the starboard layline. A short hitch and Takashi Okura’s team led around the top mark ahead of Azzurra, with Platoon second and Onda third. Sled hung on to win comfortably with Azzurra second but once more Platoon just pipped Onda at the finish line to make it a better day for last year’s world champions, Platoon going 3,3 for the day, Onda 4,4. Quantum Racing lead on 29pts, Azzurra are second on 33pts, and three boats, Platoon, Phoenix and Luna Rossa, are all on 34pts.